Thank you for joining for Day 6 of 10 days of Proverbs 31:25 ~ She can laugh at the days to come. You can start at day 1 here. Having faith in a faithful God is what grows us. Without experiences of having to put our faith into action we will not grow. I want to grow, but no thanks for the pain of growing…right? Can you relate?! We don’t need a HUGE amount of faith in order to please God..a tiny bit as small as a mustard seed will do. Have you ever been stretched to the point that you thought you would simply break? I have..actually several times in my walk with God, but I am thinking of one time when I was sooo mad at God that I questioned my faith and I questioned who this loving God was. When my husband and I decided to have more children after our older kids were grown I knew that it was from the Lord..without a doubt. He had provided the $$ for me to have a tubal reversal and I was pregnant 2 months later. Everything had gone right with my pregnancy. I felt good I was full of life and had done a ton of reading on Natural Childbirth. I was excited to see what God had in store. I was ready…NOT! My son was 3 weeks late so my labor had to be induced. That was the beginning of the nightmare! I won’t go into gory details, but what I will tell you is that I was bed ridden for 2 months after he was born..I could not even turn myself over in bed. I was so mad at God! My body was a mess..I had obeyed God…I felt betrayed. I mean, I didn’t even want to have more children..I was just obeying God! Why would this loving God allow this to happen. And by the way..why did He even send his only Son to die such a horrible death. Why did he have to suffer so…why did I have to suffer? Well you get the picture. Along with a lot of self pity..I had A LOT of questions! Then one day my Pastor’s wife and good friend (who had been at my son’s traumatic birth) came over. After pouring my heart out to her she just looked at me and said “I don’t blame you for how you feel..I would feel the same way.” And then she said something that would set me free from the guilt of being so mad at God.. she said “go ahead and be mad at God, he can take it” She prayed with me and then left and there I was all alone with God to hash things out. So after wrestling with God about this, it all came down to the question..Did I believe that every word that God has spoken in His written word and on my heart was true? I looked God square in the face and said…YES I do.. I didn’t understand some of His ways..I’m not suppose too. I didn’t like some of His ways..I’m not suppose too. What God gave me in return? A joy for all of life…whether hard times or easy times. He taught me that I could “laugh at the days to come” The hard times would pass and His mercy was enough. 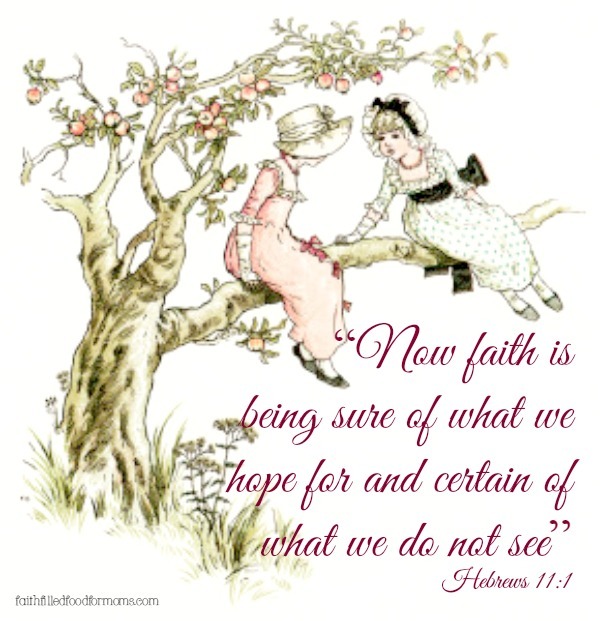 Since that time I have had many heartaches, they seemed so deep that I would drown, But I choose to believe God’s word and have at least that tiny mustard seed of faith during those times. God is enough and His mercies are new every morning! How refreshing to be reminded that we don’t have to pretend that we’re not mad when we don’t understand what God is up to in our lives. And what a wonderful friend to give you permission to be honest about your feelings instead of, well, being dishonest. Love that! Hi Anne! Thanks so much for stopping by! Yes, it was such and blessing and such a freedom for my Pastor’s wife to stand with me in letting me work things out with God. Excellent post at 10 Days of Proverbs 31-Day 6 | Faith Filled Food For Moms and Grandmothers. I was checking continuously this blog and I am impressed! Very helpful information particularly the last part 🙂 I care for such information a lot. I was seeking this certain info for a long time. Thank you and best of luck.